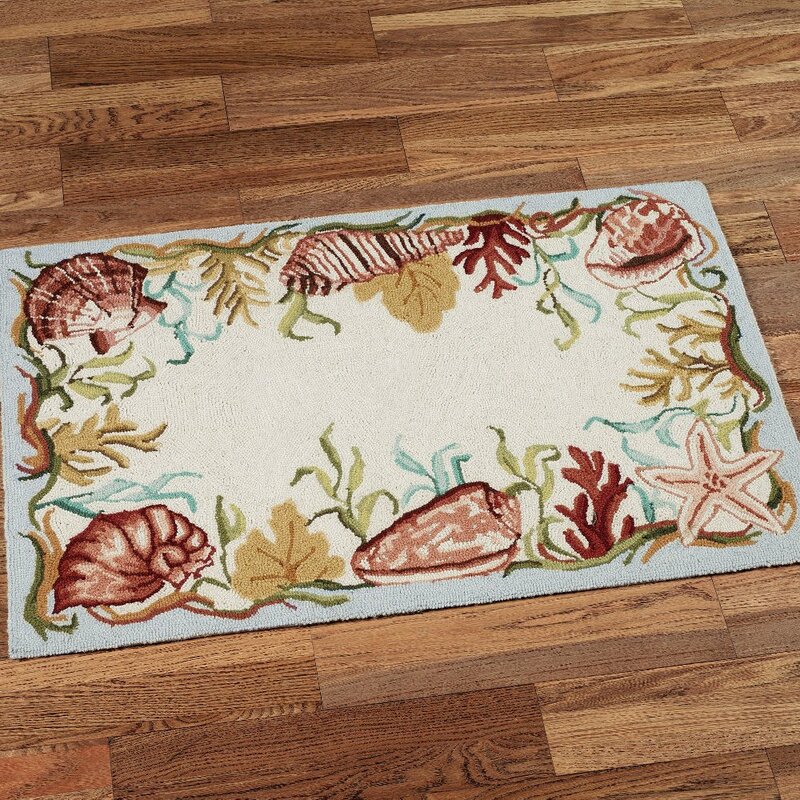 Coordinated Hooked Wool Rug from our Natural Shells bedding collection. 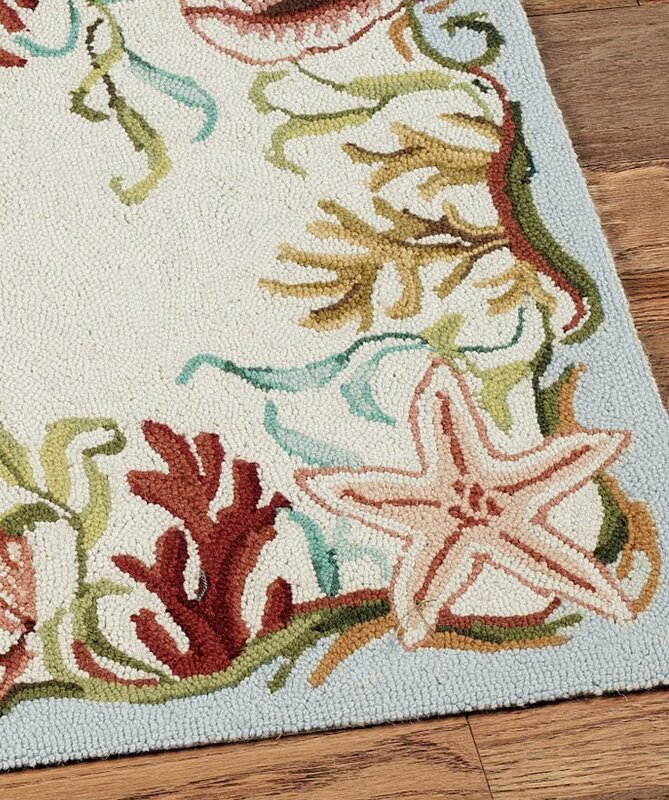 With its coral sealife in soft aqua and sand colors, this Seaside rug will be so comfy under foot in your beach retreat. 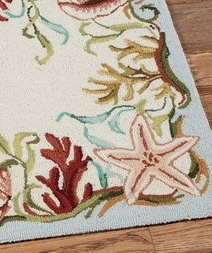 100% Hooked Wool with canvas backing. Measures 2 ft. x 3 ft.